A couple of week ago we paid a visit to our friends at Drugasar and their Innovations Roadshow, they had some very exciting news, they adding to their Metro range, with more details to follow as soon as it is launched! They also shared with us the below image of one of thier Metro Fires with the Ceraglass interior! I think it really adds something that isn't quite matched by the standard black or natural interior. The flames reflecting the warm glow back into the room add that extra depth that makes the flames even more alluring! Although it is a little extra I think it would certainly add that extra wow factor! 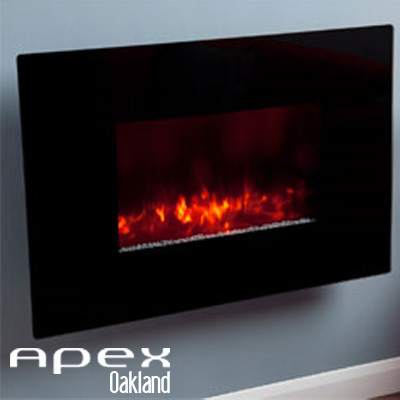 While the natural interior certainly gives the traditional log fire feel the relfexive black glass interior adds a very modern and cutting edge finish. We also had a demostration of the Drugasar PowerVent® system that will allow your Drugasar balanced flue fire to be installed almost anywhere in your property, allowing even more flexibility to that already offered by the standard balanced flue system. But we will have more news about each product as they are officially launched. For now, we leave you with a video of the Metro 100XT Tunnel, what better way to make a design statement and separate two rooms than to use the Metrol 100XT Tunnel. Our homes generate a quarter of the UK's CO2 emissions, yet a third of the energy we use is wasted. It's time to act, but what is truly practical and affordable for us to do? And can we save some money while we're at it? 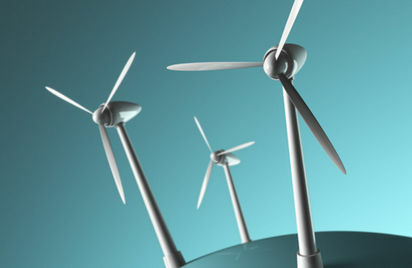 Channel 4 Homes Helps Us Take A Look Into How We can cut carbon emissions and save money. Up to a quarter of a home's heat can escape through the roof if it's badly insulated. 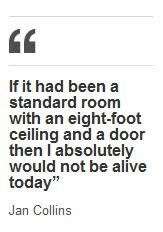 According to the Building Research Establishment, if you were to put down 270mm of insulation in an empty loft, you'd save £145 a year. The greenest option would be to insulate it with natural, environmentally friendly products. These include Warmcel 100, made from recycled paper; Isonat Plus, made from UK-grown hemp and recycled cotton; and Thermafleece, which comes from UK sheep. You can buy all of them from EnergyWays at www.naturalinsulations.co.uk. Like roofs, walls can also leak up to a third of the heat produced in your home. The government is very keen on cavity wall insulation at the moment, so grab a grant while you can. It takes less than a day to install, there's minimal disruption, and it could save you £110 a year on fuel bills, according to the Energy Saving Trust. 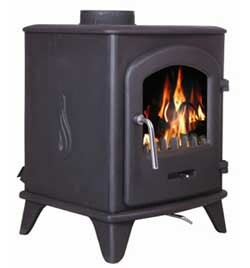 Ideally, opt for eco-friendly Warmcel. of insulating material attached to walls then finished with cladding or render, cost £10,500 to £14,500. Find a registered installer at The Insulated Render & Cladding Association (INCA). Around 20% of all heat loss in a typical home is through ventilation and draughts. Obviously, some ventilation is essential, especially if you have solid-fuel or gas fires, but don't forget that wherever you can feel a draught coming in, warm air is going out. by draught proofing doors and windows, and around £20 extra if you fill gaps between the floorboards and skirtings as well. 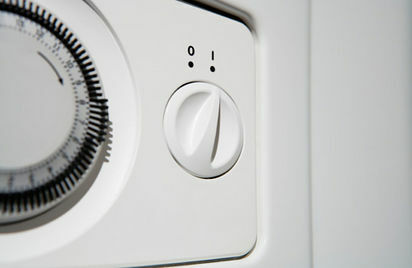 Don't forget to look out for the official energy rating when you're buying a new appliance. 'A', 'A+' and 'A++' rated is good, but don't bother if it's less than 'B' or 'C'. It's difficult to cost out the saving, but as an example, an 'A' rated freezer or washing machine will only use a third of the energy of one with a lower rating. Sneak Preview: I'm told The new House 2 Home Megastore has some very efficient appliances that will be available for purchase when the site launches completely, which, i'm told is getting nearer everyday. If you're thinking of installing a new one, go for it as soon as possible! Around 60% of all domestic CO2 emissions come from old boilers. New rules say boilers should have an 'A' efficiency rating, which basically means having a condensing boiler. 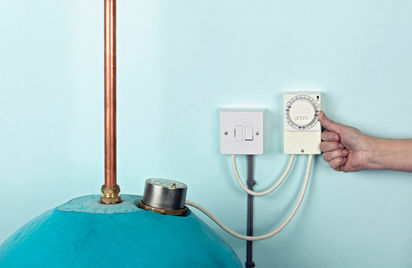 Save up to £235 by replacing an old G-rated boiler with a new A-rated one and installing a full set of heating controls. Is your ceiling filled with those pretty little halogen bulbs? Each one uses 50w, while energy-efficient bulbs use up to four times less electricity to generate the same amount of light. Each one will save around £9 on your annual bill. 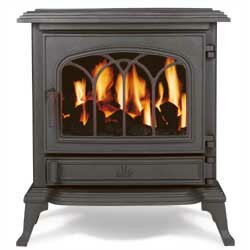 This will reduce heat loss by half and knock £130 a year off the average bill. Look for the energy-saving recommended logo, and if money's not a factor, choose Argon-filled triple-glazed timber-framed windows made with low-emissivity glass (look for the 'A' to 'G' energy rating and Forest Stewardship Council certification for the frame). 'If you are on a budget, secondary glazing that fits inside the existing frame is much more cost-effective and can reduce heat loss,' says Sally Oakes from the Centre for Alternative Technology. House 2 home megastore wish to showcase furniture and finishing touches to make your house a home. Supplying all that is required to structure your perfect room, using superlative design and creative know how. Achieve desirable results from house 2 home megastores extensive high quality product ranges, delivered to your home by a conscientious team. In need of inspiration then simply browse the house 2 home megastore product ranges for stimulating room sets and innovative product ideas; Temper living room space with subtle room lighting, invigorate your bathroom with fresh fixtures, or create a social area in your garden for adults and children alike, with attention grabbing furniture. Whether you wish to uniform or contrast the décor, or create something bespoke to your personnel taste and needs then house 2 home megastore are striving to meet your requirements with constant price evaluation and renewed product ranges and ideas. For seasonal fashions and the most up to date product releases then visit our house 2 home megastore blogging site designed to inform of the latest breaking news and information on existing products and future releases, room design tips and articles of general interest. House 2 home megastore have a genuine interest in our products and services, we want our returning customers and first time visitors to feel that their custom is valued and respected, so we become valued and respected too. We are pleased to announce that the House2Home Megastore is set to go live this afternoon on 19th May 2011 at 3pm showcasing our wide range of products ranging from decorative towel radiators to garden furniture. We welcome you to come and visit our website for all your home furnishing needs. 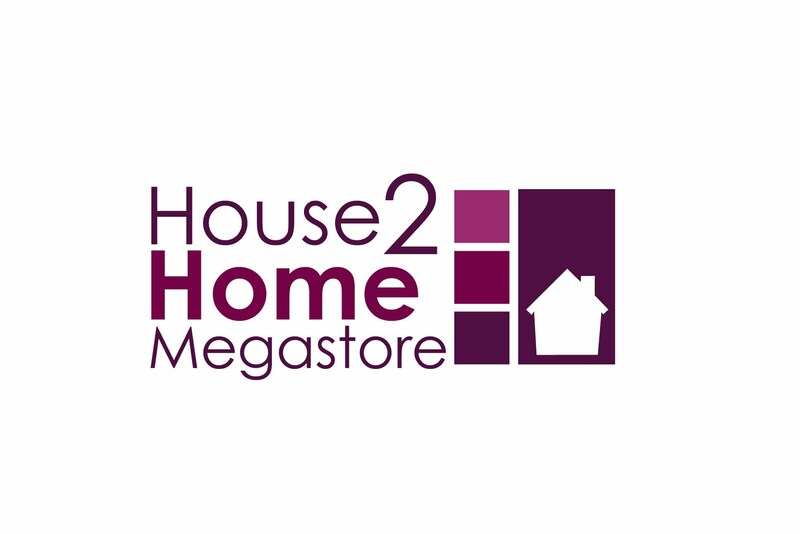 We look forward to browsing the House2Home Megastore website and giving our reviews of their products. Increased demand for wood burning appliances has not only resulted in increased demand for logs but has also raised some concerns about the quality and availability of this very popular energy source. With the help of the experts we take a closer look into what's involved in producing logs. Fuel quality is pretty much taken for granted. 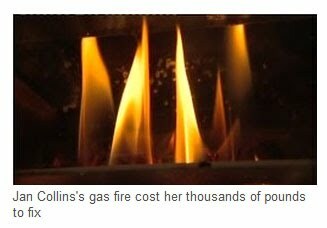 Although our gas bills carry some techical details of the energy coming down the pipe, few people take any notice. It's exactly the same for electricity and oil, we've got used to high quality energy and no longer take any notice of it. Wood on the other hand is all together different. There are over 10,000 tree species in the world and more that 100 in the UK (only 33 of these are native). These generally divide into hard woods and soft woods, hardwoods native to the UK include Ash, Beech, Elm, Maple and the mighty Oak with Yew, Scots Pine and Juniper among the softwoods. In short, if you're going to burn wood you have a wide selection to choose from and as we're about to tell you, an even wider choice of quality. As natural living organisms, trees drink and retain a very large amount of ground water absorbed through their roots and obviously fire and water do not mix. The tree, or more correctly the moisture content of a tree varies with it's species and maturity and is greatest when a living tree is cut down. When left to do it's own thing, the tree will start to dry out, but that would take a very long time. Sawing a tree into smaller pieces and splitting the resulting logs with dramatically increase the surface area of the wood and reduce the drying time considerably. Artificially drying (or kiln drying) accelerates the process quite considerably but it is not just a matter of applying heat... Theoretically, the maximum amount of energy that could be released from burning wood will occur when the moisture content is 0% but this means the wood would disintegrate and be useless to use in a stove or fire. As Nic Snell of Certainly Wood explains, "It is really a relatively simple economic balance. Drying uses energy which must be balanced against the heat gain from burning 'dried' wood. 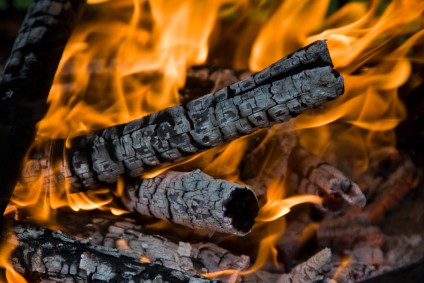 We believe that logs for wood burning appliances should have a moisture content of between 15% and 25%. At this level, combustion is excellent and any remaining moisture is quickly driven off by the heat intensity. In comparison, wood with a moisture content between 15% and 25% produces four and a half times as much heat as freshly cut wood. Putting this another way, 10kg of dried wood would produce 45kW where as the same amount of fresh wood would only produce 10kW of heat. And this moisture content issue is the main problem regarding quality of wood for stoves and fires, visit any garage or DIY shop and you're almost guarenteed to see nets of wood for sale on the forecourt or by the main entrance but in most cases if you ask where the wood is sourced from and the moisture content you may not get an answer. Obviously some of this wood may be of high quality and may well have been kiln dried or at least well seasoned, but all of that work is undone if the wood is left outside in the weather so the wood can absorb any and all rain or dew that settles on it, and this combined with any that is freshly cut makes this wood very wet and totally unsuitable for a stove or fire. For example, watch what happens next time you see roadworks that involve the felling of a tree. Either a shredder is brought in and everything is shredded and reduced to being buried in the ground. Or a group of men normally armed with chainsaws and traditionally in a white van appear, cut the wood and disappear again. They normally take the wood back to a yard where it is split and netted and then on the market within a couple of days! This results in a very low quality wood that will release very little energy and can do some quite considerable damage to stoves, chimneys, flues or even the environment! Although just a small fraction of the wood felled in the UK is used for fuel the equipment used to sustain just a small, but rapidly expanding market is quite substantial. 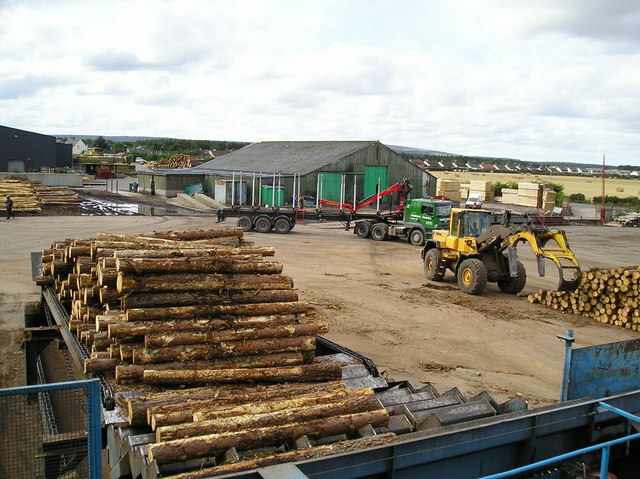 One company, well hidden amongst farmland and orchards boasts a site occupying over three acres, all devoted to turning trees into kiln dried wood logs. Large Quantities of harvested hardwood is being continuosly deliveryed to the site and stacked with precision that would probably beat most Supermarket shelves! These 'trees' are often up to 45cm in diameter and as king as 3 metres! They are then cut to lenghts of abouve 250mm and split into up to 16 segments. The machine that does this job uses pure brute force to split the logs, using up to 4 tonnes of pressure to get the job done! These logs are then transferred to the drying operation where brute force is replaced by technical prowess and knowledge as the drying system comes into force. The wood is then transferred into the drying kilns, in reality most of these will be ex-shipping containers that have been adapted and modified with all the hardware and safety equipment that the drying operation demands. Getting the wood down to the correct moisture content has been refined and is now more science than guesswork, early experiments show that when taken too far the wood could spontaneously combust so all the drying kilns contain sensitive equipment to tackle any problem should it arise, which may even come to flooding the container itself with water! Reducing the moisture content to between 15% and 25% takes approximately 32 hours per container, rather dramatically this reduces the volume of the wood by 20%. Add this to the cutting of kindling and storage for the finished dry woods and you quickly realise that there is more the firewood than just cutting down a tree! In a recent survey, Gas Safe has revealed that nearly half of students think the distance from their student house to the local pub is more important than keeping safe from Carbon Monoxide poisoning. Research also showed that almost a quarter of students were more concerned about potentially falling out with their house mates than being poisoned by carbon monoxide. Students are among the most vulnerable groups within society when it comes to being at risk to carbon monoxide poisoning. Living in rented accomodation and possibly living away from their parents for the risk time, it can be hard to know what safety precautions to take. In a campaign from Gas Safe, students are urged to be more aware of the dangers of carbon monoxide when moving into their new accommodation at the start of term. Gas Safe is advising students and their parents what they should be looking out for when viewing and moving into rented properties. The campaign aims to make students and whoever is dropping them off to their new house, wary of the dangers that could be lurking in their digs. As part of this initiative Gas Safe have launched a podcast which guides students and parents around a typical student house, walking them through all the potential hazards that the home could contain. This guide will explain what safety obligations landlords should meet. By law a landlord must ensure that an annual gas safety check is carried out by a Gas Safe engineer and the student tennant should recieve a gas safety record. The guide also shows what signs to look out for as evidence that carbon monoxide might be present such as checking there is a blue crisp flame on the hob as opposed to a lazy orange/yellow flame (the latter could indicate that carbon monoxide may be present). The guide also recommends the purchase of an audible Carbon Monoxide alarm as a second line of defence. On the Gas Safe Website there is a specific page for students http://gassaferegister.co.uk/advice/renting_a_property/for_students/for_students.aspx which contains downloadable information for students to look out for when renting a property. Chimneys and chimney sweeps figure in folklore and legend not only in Britain but in many other countries around the world. Chimney sweeps are honoured by festivals and appear in literature. We thought you'd quite enjoy a small insight into some of these legends, festivals and curious customs. Traditionally the May Day holiday (May 1st) was celebrated by chimney sweeps as their annual holiday. Although sadly this tradition slowly began to die out as child labour laws meant young boys were banned from climbing inside chimneys to clean them. But it was revived in Rochester, Kent where the Sweeps' Festival is a very merry occasion. It takes place over a weekend in early May and features morris dancers and a foliage covered character known as 'Jack In The Green' who has been woken from his slumber on Bluebell Hill. The Sweeps' Festival attracts thousands of people every year, dressed as chimney sweeps who walk in procession through the town centre to kick off the festivities. Tradition claims that King George II was riding in his carriage one day when his horses bolted. A sweep bravely leapt forward and stopped them. The grateful King was so delighted that he issued a Royal Decree that chimneys sweeps are lucky and should be treated with respect. Extraordinary (and dangerous) methods of chimney sweeping were employed many years ago. Becasue country gentlemen found muzzle-loading guns difficult to unload after a day's shooting they oftern fired them up the chimney to dislodge any built-up soot. This method became immortalised in the "Merry Wives of Windsor" by William Shakespeare himself! A casualty of the practise of firing guns up them was the palace at Dijon, France, which burnt downt in the spring of 1503 when a culverin was fired up it in an attempt to clean it. However the town was not without a palace for long as a splendid new one was soon built. Probably the best known traditions regarding chimney sweeps relate to weddings. It is considered lucky to see a chimney sweep on your wedding day and even luckier to see his brush emerging from a chimney, and perhaps the luckiest thing of all is for the bride to be kissed by a sweep. Chimney's were once swept by various plants such as heather and gorse tied in bunches and fixed to poles, however folklore warned against using holly. It is said that Holly is a "gentle tree" well liked by the fairies who would object to its use in this way and create mischief in the house all year as a punishment. In September every year a Sweeps' Festival takes place in the village of Santa Maria Maggiore in Italy. It was established in 1983 when 13 chimney sweeps met to chat and walk around the town. Since then it has grown steadily and now sweeps travel from many European countries to attend the festival. There is much merrymaking and feasting and a procession takes place in the town which is now so long it takes nearly an hour to pass by. A Sweeps' museum was opened on the 5th April 2005 following the strong successes of the Sweeps' Festival. As in Britain, chimney sweeps in Poland are considered lucky. But there is a catch... To benefit from the luck of a chimney sweep, upon first seeing the sweep, you must instantly take hold of a button on your shirt or coat to make a wish, to hesitate for a second cancels out the luck. Saint Florian, the patron saint of Poland is alos the patron saint of Chimney sweeps. An Irish tradition states that after a chimney sweep had finished his work, the housewife would brush the soot off the tail of his coat and save it in a container. This should then be placed in the hearth to bring peace and harmony to the house. In some European countries house-holders fix old wagon wheels to disused chimneys to encourage storks to nest there. The birds' habit of nesting in high places including chimneys may account for the legend that babies are brought by the stork and delivered down the chimney!